Matthews was named one of the 11 best Charlotte suburbs by real estate website Movoto in 2016. Its proximity to the bustling city of Charlotte and a diverse housing stock attract growing families and single professionals who want to take advantage of its superb location. Good governance and first-rate amenities make new arrivals want to stay for the longterm. Looking for a home in Matthews? Let our team assist you. ●	Historic Downtown Matthews – Here you’ll find a wonderful selection of bars, breweries, shops, and restaurants, many of which are housed in beautifully preserved historic buildings. Drop by Carolina Beer Temple for local, national, and international craft beers or go to Beantown and dig into some steak and eggs. 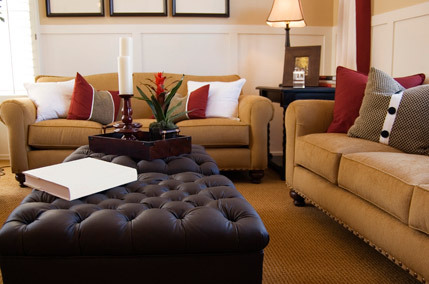 ●	Sycamore Commons – Come here for major retailers like Costco, Best Buy, and Bed Bath & Beyond. Restaurants that serve Mexican, Mediterranean, and Brazilian dishes can be found here, along with a number of salons and massage parlors. ●	Sportsplex – This recreational facility features five multipurpose fields, play structures, and a picnic shelter. Play your favorite sport, have a picnic with friends and family, or catch any of the weekend tournaments that take place here throughout the year. Lacrosse, soccer, rugby, and field hockey competitions are held here regularly. ●	Matthews Public Library – Located right next to the town’s historic Train Depot, the public library has a quirky train theme that can be seen throughout the 15,000-square-foot facility. Check out the toy train at the children’s computer area and the wood-paneled mantelpiece that adorns the fireplace. Come here for a quiet afternoon of reading and writing. ●	Matthews Heritage Museum – Situated in one of the oldest buildings in downtown Matthews, the museum gives you a glimpse into the town’s bucolic past and what life was like for residents before the advent of modern comforts like running water and electricity. Explore the galleries at length and don’t forget to visit the museum shop for a souvenir.